The Business Law Section has recognized the following individuals for lifetime achievement in the field of business law and is proud to have awarded them The Business Law Section Lifetime Achievement Award. The award is given each year to a member of the California Lawyers Association who over an extended period has made significant contributions to the Section or to business law generally in the State of California and who has achieved high status in the legal community. Larry Sonsini hardly needs an introduction to the legal and business world. As one of the founding partners of Wilson Sonsini Goodrich & Rosati, Larry is well known in the Silicon Valley, in the California business world, and well beyond. Some would say he helped build Silicon Valley’s now-famous tech industry, by developing the recipe for how to build companies. Larry’s service to the Business Law Section and to the business law community abroad makes him well deserving of the special honor of being the first recipient of the Lifetime Achievement Award given by the Business Law Section under the new California Lawyers Association. Read more about him in the Business Law News. For more than 60 years, Bruce has pioneered developments in securities offerings, merger and acquisition, and general corporate governance. Early in his career, Bruce helped establish the rules for what we now so easily call “venture capital” and private equity financing, launching so many Silicon Valley start-ups. He has also been an exceptionally generous lawyer, freely sharing his passion for excellence, as well as his experiences and insights, with other corporate lawyers in California and nationwide. Read more about him in the Business Law News. Ann Yvonne Walker is the first woman to receive the Business Law Section’s Lifetime Achievement Award. Her distinguished achievements were honored by BLS members as well as past and present leaders of the BLS and its 15 Standing Committees in honoring Ann’s at the Annual BLS Breakfast at the State Bar of California’s 89th Annual Meeting in San Diego, California on Saturday, October 1, 2016. Ann has served as a leader of the business law community for the past 37 years nationally and in California. That leadership included chairing the Business Law Section. She has been a formidable advocate for the BLS. Ann began her career as a corporate securities lawyer at Wilson Sonsini Goodrich & Rosati in Palo Alto in 1979 following her graduation from law school here she continued until her retirement in 2014. Ann primarily represented high technology companies in Silicon Valley and specialized in corporate and securities law, including public offerings, mergers and acquisitions, corporate governance matters, and general corporate representation. Morris Hirsch spent the last five years before his retirement as General Counsel of Union Bank. And what was most distinctive about Morris’s in-house career, including as General Counsel? His commitment to pro-bono work has to rank high on the list. Among other things, he spearheaded volunteer efforts to help tenants facing eviction or otherwise facing housing-related legal challenges. As General Counsel, he formalized this support for pro-bono, establishing a policy at Union Bank that allows in-house lawyers there to spend up to 4 business days each year helping nonprofit organizations. Community service,” as Morris puts it, “is part of what allows us to be true to ourselves.” To name only a few of his service positions over the years, he served as a member of the CBA Legal Affairs Committee from 1993 to 2001 (Chair 1999-2001), of the American College of Commercial Finance Lawyers (2000-2008) and of the San Francisco Bank Attorneys Association (1990-2013; Chair 1994). fter his distinguished legal career, Morris now volunteers as a tutor helping disadvantaged Oakland/ East Bay students. Some lawyers leave their mark through public service, and others through private practice. Keith has served in both capacities. At Allen Matkins,Keith represents clients in a wide range of corporate transactions, including public and private securities offerings of debt and equity, mergers and acquisitions, proxy contests and tender offers, corporate governance matters and federal and state securities laws (including the Sarbanes-Oxley Act of 2002 and the Dodd-Frank Act), investment adviser, financial services regulation, and California administrative law. Keith has also been retained as an expert witness to testify concerning corporate law, securities law and attorney malpractice. In 1997, he testified before the Subcommittee on Securities of the United States Senate Committee on Banking, Housing and Urban Affairs. Keith’s engagements cover a wide range: NYSE listings, fairness hearings before the California Department of Corporations, response to hostile tender offers, enforcement matters regarding securities and banking laws, and advice regarding SEC examinations. He has also served as Chairman of the Business and Corporate Law Section of the Orange County Bar Association and a member of the Administration of Justice Committee of the Orange County Bar Association. In the American Bar Association, since 2008 Keith has served as California liason to the ABA. The Business Law Section Lifetime Achievement Award recipient for 2013 is Michael Halloran. Mike has had an illustrious career as a lawyer based in California and has made extensive contributions to business law in California. In addition to a successful career at Pillsbury Winthrop haw Pittman LLP, he has been Counselor to the Chairman and Deputy Chief of Staff of the SEC and was Group EVP and General Counsel of Bank of America Corporation. Mr. Farrar is the former Chair of the Financial Institutions Committee of the Business Law Section. Stan is a frequent lecturer and writer on subjects relating to financial institutions and mergers and acquisitions. Stan served as chair of the American Bar Association’s Section of Business Law subcommittees on bank holding companies and letters of credit. He brings a wealth of international transactional experience as a fellow of the Indian Law Institute, New Delhi (1967-1968) and the Tokyo offices of Proskauer (2006-2009). Stan is a recognized leader among US Lawyers, having garnered recognition in: Best Lawyers in America (2005-2012); Euromoney’s Guide to the World’s Leading Banking Lawyers (2003, 2005, 2007, 2009); Euromoney’s Guide to the US Leading Lawyers (Best of the Best) (2006); The International Who’s Who of Banking Lawyers (2003, 2005-2006, 2009-2012); The International Who’s Who of Business Lawyers (2002-2006); IFLR’s Mergers and Acquisitions Yearbook (2005); Chambers Asia (2008); Chambers Global: The World’s Leading Lawyers for Business (2003, 2005, 2006, 2007, 2008, 2009); Chambers USA: America’s Leading Lawyers for Business (2003-2007); PLC Which Lawyer? Yearbook (2005-2006, 2008); PLC Cross-border Finance Handbook (2006); PLC Cross-border Finance Handbook: Secured Lending (2006-2007); The Los Angeles Area’s Best Lawyers (2007); and Southern California Super Lawyers (2004-2006). 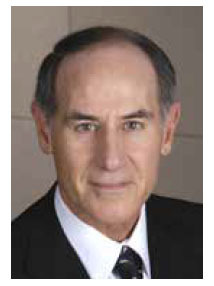 Most recently, Stan was named the 2012 Los Angeles Corporate Lawyer by Best Lawyers. Please join us in celebrating Stan Farrar’s substantial contributions to business law in California. The Lifetime Achievement Award will be presented to Anthony R. Pierno during the Annual Meeting at the State Bar Breakfast, Friday, September 16 at 8:30 a.m. Mr. Pierno is the Senior Vice Present and General Counsel of MAXXAM Inc. and each of its subsidiary corporations. A long-time practitioner in Southern California in the area of securities, commodities and franchise law along with the broader commercial and corporate practice areas, he was later appointed by Governor Ronald Regan as Commissioner of Corporations for the State of California. He also served as interim Insurance Commissioner at Governor Regan’s request. Mr. Pierno was instrumental in preparing and having enacted legislation modernizing seven other of the laws under the jurisdiction of the Department. He also sponsored other major new laws for California including one which (pre-ERISA) created a new Retirement Systems Disclosure Law eliminating which established a privately-funded guarantee program to protect depositors in industrial loan companies. The State Bar Business Law Section recognized George Coombe as its 2010 Lifetime Achievement Award winner at its annual breakfast to be held in conjunction with the State Bar Annual Meeting. George Coombe is the retired General Counsel of Bank of America. George has had an eventful and illustrious career. It has ranged from combat in the Pacific during World War II, through serving as Assistant General Counsel and Corporate Secretary of General Motors from 1968 to 1975 and capping his career as General Counsel of Bank of America from 1975 – 1990. As General Counsel of the Bank George greatly expanded the size of the Bank’s legal department and strongly supported the hiring of women in the Bank’s legal department. George was instrumental in the development of modern approaches to corporate governance, both in practice and in bar-related activties, such as American Law Institute projects. George served as chair of the American Bar Association’s Section of Business Law. At the Bank he strongly encouraged the members of the legal department to participate in bar association activities. George has been eager to share his learning with others and has taught at leading law schools, including Stanford and Hastings. He has been a community leader in each of the communities where he has lived. George richly deserves this award for his enriching of our professional lives. The Section of Business Law awarded its 2009 Lifetime Achievement Award to Denny Rice. The award is given each year to a lawyer who has made significant contributions to the Section or business law generally, or both, over an extended period and who is held in high regard in the profession. Denny unreservedly meets and exceeds each of these criteria. Denny is the complete package. He has broad experience and has contributed to a wide range of corporate and securities matters. Denny has been a leader in developing cyberspace law. He has spoken and written on many different subjects. He is a community leader and an active athlete. Denny has given selflessly to the bar and to his community. He has trained lawyers in his firm and in the profession through his writing and speaking. Through his bar association activities, he has improved the law. His community activities have made the lives of many better. Based on his history of service and his many accomplishments, Denny richly deserves the Section’s Lifetime Achievement Award. 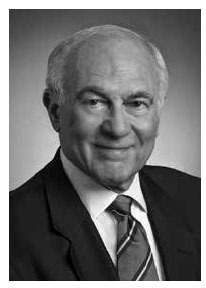 Mr. Eisenberg is a graduate of Harvard Law School, and joined the faculty of Boalt Hall School of Law at the University of California at Berkeley in 1966, where he has superbly taught several generations of business lawyers. Professor Eisenberg is widely recognized as one of the leading scholars of corporate and contract law. His numerous articles and law reform efforts have helped shape today’s U.S. corporate law. He won the UC Berkeley Distinguished Teaching Award in 1990, the Rutter Award for Teaching Distinction in 2002 and the Faculty Lifetime Achievement Award in 2008. The author of leading casebooks The Nature of the Common Law and The Structure of the Corporation, Professor Eisenberg was chief reporter for the American Law Institute’s Principles of Corporate Governance. He is an adviser to the Restatement (Third) of Agency and Restatement (Third) of Restitution, and a consultant to the ABA Committee on Corporate Laws. Steven O. Weise was selected as the recipient of the 2007 Business Law Section Lifetime Achievement Award, given at the BLS breakfast on September 28 at the State Bar of California Annual Meeting in Anaheim. Steve is a nationally recognized expert in all areas of commercial law. He is a member of the Permanent Editorial Board for the Uniform Commercial Code (UCC) and was the American Bar Association’s Advisor to the Uniform Commercial Code Article 9 Drafting Committee. He is the ABA’s representative to the United Nations Commission on International Trade Law (UNCITRAL) Working Group on Secured Transactions. In addition to his expertise under the UCC, he is an expert in contract law in general (including electronic contracting) and is a leading national guru in opinion letters. Steve is the author of extensive annual updates on all areas of commercial law published by the American Bar Association and the State Bar of California. He is also a past chair of the ABA Section of Business Law and of its Committee on Personal Property Secured Financing and its Committee on Legal Opinions. At the state level, he is a former chair of the Executive Committee of the Business Law Section of the State Bar of California and of its Committee on the Uniform Commercial Code. He received his B.A. from Yale University in 1971, and his J.D. from the University of California, Berkeley (Boalt Hall) in 1974. The Business Law Section awarded its Lifetime Achievement Award for 2006 to Roland E. Brandel at the Annual Meeting of the State Bar of California in Monterey. Roland Eric Brandel is active primarily in the field of consumer financial services and financial institution regulation. In addition to regularly advising clients in this field, he has been directly involved in many federal legislative and regulatory efforts affecting the field in the past 30 years. He has had primary responsibility for joint efforts in the financial services industry in development of products such as bankcards, electronic fund transfer systems, and other innovative lending and value transfer services. The Business Law Section awarded its Lifetime Achievement Award for 2005 to Harry C. Sigman at the Annual Meeting of the State Bar of California in San Diego. Harry Sigman is a sole practitioner. He is a law professor. He is a consultant to governments and to the private sector, he drafts laws, he lectures frequently, he writes prolifically, and his writings are published and read worldwide. Harry is on the road more than most bus drivers. He travels constantly — not in California alone nor just in the U.S., but throughout the world as a latter-day intellectual Johnny Appleseed planting seeds of U.S. principles and processes used in commercial financing transactions. He collects globally, like a jurisprudential Darwin, samples of commercial law principles and processes used in other countries; the better to compare and to understand our domestic species of financing transactions, always with the possibility of introducing new ideas into our domestic stock. A most unusual career! The Business Law Section awarded its Lifetime Achievement Award for 2004 to John B. Power at the Annual Meeting of the State Bar of California in Monterey. For more than four decades John has been a living example of a business lawyer practicing at the highest level. He has made substantial contributions to the bar and to community organizations, and has nurtured and helped to increasing success several of California’s important institutions. John’s continues to be an inspiration to those who work with him and serves as a model of what a lawyer should be in his or her daily relationship with clients, opposing parties and professional colleagues. His contributions to legal literature and the education of hundreds of lawyers, and his dedication to institutions, such as the ABA and State Bar Business Law Sections, that provide the infrastructure for business law development and education of lawyers, have been immense. In the past quarter-century, few individuals have had as much influence on the development of legal principles that govern the debt financing of business as has William M. Burke. For more than three decades, he practiced law at a high level in this field. He nurtured, led, and even, at times, created the organizational structures that supported law reform and the education of practicing lawyers. He wrote prolifically, handled seminal cases on appeal, and was instrumental in several legislative law reform efforts. Marshall Small is a preeminent leader in the corporate and securities law field, as a practicing lawyer, a law school instructor, a participant in several projects with the Business Law Section, an active member of the American Bar Association Section of Business Law, a law firm manager, a reporter of the American Law Institute Corporate Governance Project, a lecturer in prestigious continuing legal education venues, and as an author of many authoritative articles in the field.